There is a pressed curds battle being waged. It spans the English Channel. High fat milk keeps the soldiers fit and a rind is their only line of defense. It is getting pretty stinky. In a country historically known for its staple Cheddar and Stilton, Britain now boast over 700 unique cheeses compared to around 600 in France. Although Cheddar is still the nation’s most popular cheese, the varietal growth and public interest continues to expand. Chef has grown fond of British cheese, particularly with the region’s cow and sheep varieties, but he maintains that his native France makes better goat cheese. A true French patriot, defending a national treasure within enemy grounds. We continue to discover new local cheese and enjoy developing personal and professional friendships with the artisan cheesemakers. Of course, there are some cheeses that the French do better. There are some the Italians have mastered. But the British cheese revolution is one worth exploring. If you are in a cheese rut and looking for some new flavours, here is one sampler featuring five established British cheesemakers with inspiring stories and award winning cheeses that I simply adore. Flavour: A dry, hard cheese with nutty flavours. It is a popular vegetarian substitute for Italian hard cheeses as made with vegetarian rennet. A great table cheese. Mike and Judy Smales are the owners of Lyburn Farm. I enjoy chatting with the Smales at various Hampshire Farmers Markets. They are salt-of-the-earth people who are proud of their award winning cheese and grandchildren, too! They have been looking after dairy cattle since 1969. When milk prices sank to an all time low 10 years ago, the Smales decided to diversify within organic dairy farming and started farming pumpkins and other fresh vegetables. Over the years, Lyburn Farm has won many national and international awards for their cheeses and are the wholesalers to some of the region’s most successful pubs and restaurants. Artisan cheesemaker, Paul Thomas, credits his degree in Biochemistry for understanding the science and molecular structure of cheese. Making cheese demands great stamina to endure the long work days. It also has many variables such as the right balance of the natural ingredients in the milk and humidity of the room. Time and ripening are the final two things that give Lyburn cheeses their distinct depth of flavour. Flavours: Think of a delicate Camembert Cheese with a very soft rind. Tunworth is made by hand and has a lasting sweet , nutty flavour and a creamy texture. 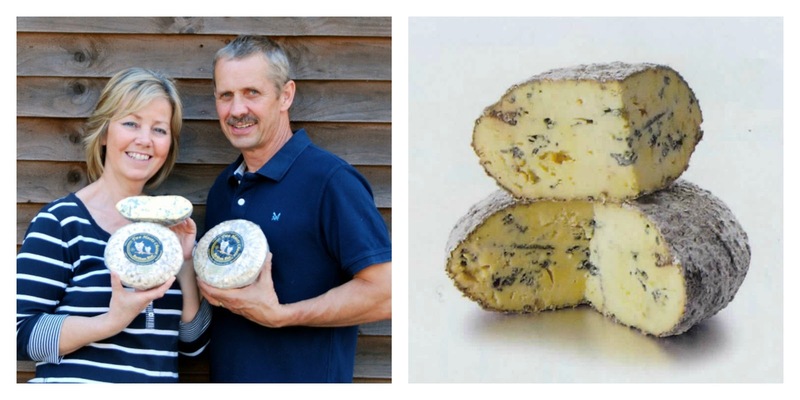 Hampshire Cheese is owned by Stacey Hedges and Charlotte Spruce. Though founded only in 2005, its immediate success is a testament to one woman following her passion and finding her niche in a competitive marketplace. Stacey, originally from Sydney Australia, worked part-time at a cheese shop whilst studying at university. The mad Hungarian owner encouraged his employees to taste and distinguish key flavours and textures of the 300-cheeses for sale in the shop. Twenty years later, married to an English husband and living in a quiet Hampshire village, Stacy thought back to her work days at the cheese shop in Sydney. When the youngest of their three children started school, Stacy started making cheese. After attending a cheesemaking class, she was hooked and never looked back. 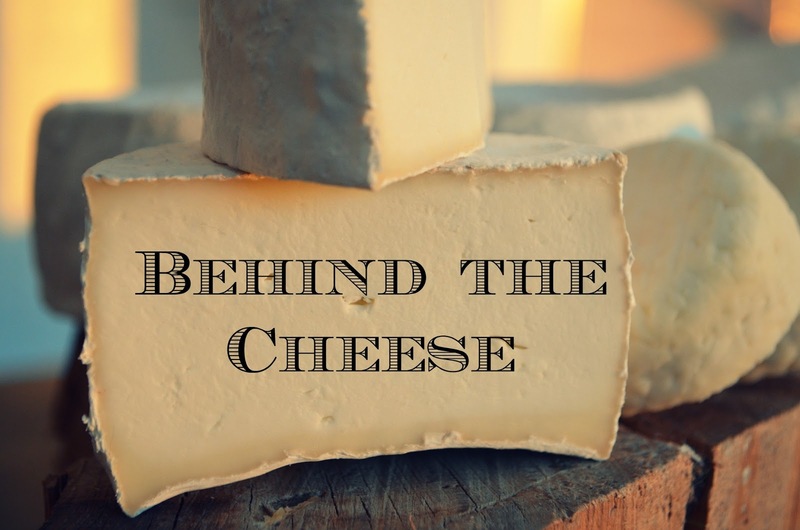 Randolph Hodgson, owner of Neal’s Yard Dairy, has been a great mentor to Stacy and is credited with helping her find a gap in the competitive cheese market. It was Hodgson who encouraged her to make a soft cow’s milk cheese with a delicious depth of flavour covered by a delicate, thin rind– et voila. Tunworth was born. Flavour: Fuller flavour due to age of Cheddar which brings to the palate a more nutty and peppery taste. The texture is a little drier, as expected, due to the length of maturation. 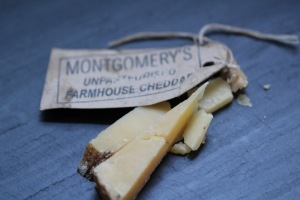 The Montgomery family has been farming and making their renowned Montgomery’s Cheddar in North and South Cadbury for three generations. Jamie Montgomery’s grandfather, Sir Archibald Langman, bought the dairy and cheese farm in 1911 and continued the traditional cheesemaking so many others gave up during and after WWII. Jamie continues the family tradition of producing farmhouse Cheddar using an old, slow peg mill which contributes to the brittleness of their cheese. Flavours: This blue has a unique deep yellow interior with dark blue and green veins. It is a perfect balance of a rich blue with a buttery texture that just about melts in your mouth. A smooth start and finish with a bold burst of flavour in between. Sandy Rose’s love of making cheese founded Two Hoots Cheese in 2003. 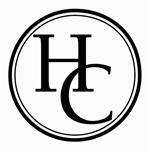 The business continues to expand and over the years supermarket chains have approached Two Hoots Cheese. But for now, at least, the Roses are happy making their cheese on a smaller scale from the comforts of their home. A few years ago, Chef also caught the cheesemaking bug. Today, our cottage is a regular maturing room for his pressed curds. He makes cheese for our enjoyment and for his diners at Four Seasons Hotel Hampshire. He enjoys experimenting with various milks to include cow, goat and buffalo. 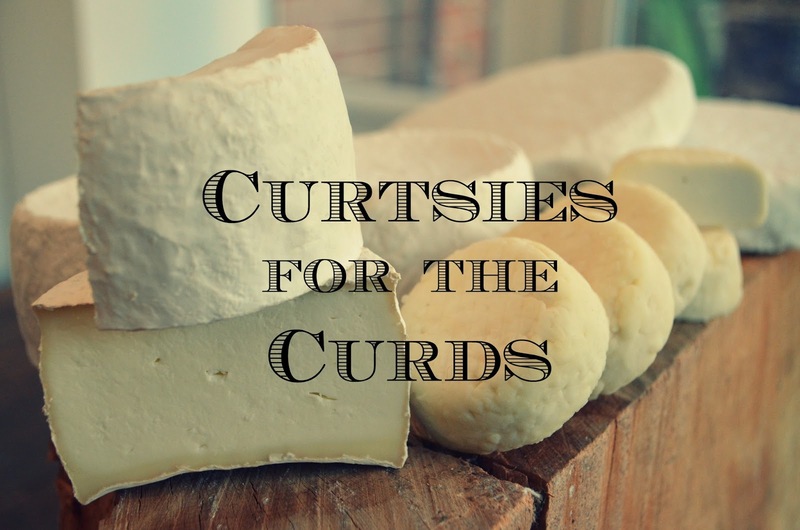 Check back on C&C for a future post on his cheese making hobby (and how I survive the long process along the way!). Of the above mentioned cheeses, Lyburn and Montgomery export internationally. The others, and Chef’s own batch, await your visit to England.